There are many songwriting forums on the internet where you can go and discuss any part of the songwriting process. In this article I’d like to share with you some of the best, as well as some other songwriting resources that will help you release your full potential as a songwriter. 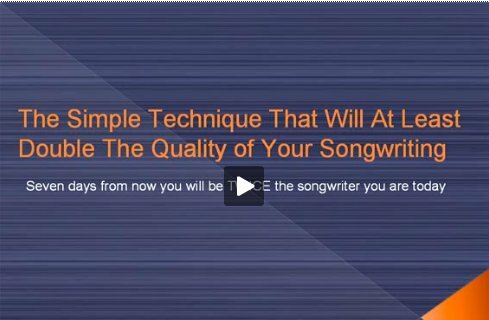 To begin with, a resource that I believe is the most crucial to your success as a songwriter is the course The Songwriting Genius Within You. This course will show you how to uncover your full potential as a songwriter, by digging deep within yourself and uncovering your natural instinct for music… and using creativity methods that the world’s most successful musicians use to uncover your very best song ideas. … I only really arrived as a musician when I began following the principles and exercises within The Songwriting Genius Within You. The next resource is a forum called the Muses Muse. You can discover this songwriting forum by clicking here. Another one to consider visiting is the Tunesmith forum. This one not only has a lot of active discussion, it also has forum topics where you can submit your lyrics or music, and get them critiqued by some very experienced and successful songwriters. You can view the Tunesmith forum here. So head in to one of these forums and get involved! Help others… contribute your best advice to the forums. Help it become a high quality resource of information. Also, ask for help yourself. Ask questions and get answers from excellent songwriters. Post your latest song to get critiqued. Take the advice and see if you can use it to make your song better. The songwriting forums that I’ve listed above are both quality resources, so be sure to use them to improve your songwriting!